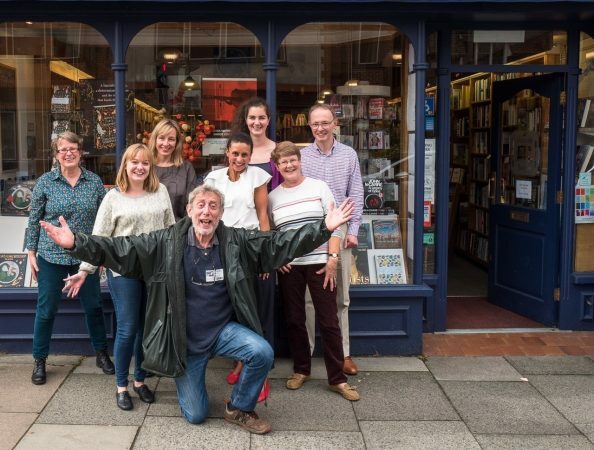 Sevenoaks Bookshop sits in the heart of Sevenoaks, a truly independent bookshop run by a team of experienced, enthusiastic and welcoming booksellers. We stock a wide range of carefully chosen new adult and children’s books: fiction, non-fiction, biography, history, art, travel and maps, local history, cookery, poetry and gift books for every occasion. Our lovely shop is the perfect place to enjoy a quiet browse among the shelves, and our knowledgeable staff are happy to answer any enquiry. We can order any in-print books, most for delivery into the shop the following day, and endeavour to obtain any out-of-print books. We also stock beautiful and unusual greetings cards, notelets and gift wrap. Our little café is a haven - it's open from 9am, with last orders at 4.45 pm, serving coffee, teas, and delicious cakes. It's an ideal place to meet with a book group, so do contact us should you want to make a reservation for a group of up to 10.